Investment Tax Credits (ITCs) reduce the amount of Part I tax that a corporation has to pay or the amount of tax an individual has to pay (depending on whether one's business is set up as a corporation or as a sole proprietorship or partnership). An Investment Tax Credit allows a corporation or an individual to apply a specified percentage to the cost of acquiring certain property or on certain expenditures. If you are claiming Investment Tax Credits as an individual, complete Form T2038 (IND): Investment Tax Credit (Individuals) and then claim the appropriate amount on Line 412 of your T1 Income Tax Form. If your corporation is claiming Investment Tax Credits, use Form T2SCH31: Investment Tax Credit – Corporations and then claim the appropriate amount on Line 652 of the T2 Corporation Income Tax Form. However, when you are calculating these Canadian Tax Credits, be aware that before you apply the specified percentage, you need "to reduce the capital cost of the property or expenditure by any government or non-government assistance you received or will receive for that property or the expenditure" (Canada Revenue Agency). This includes any related GST/HST Input Tax Credits or rebates! Individual taxpayers can also claim the Apprenticeship Tax Credit. An eligible apprentice is an apprentice who is working in a prescribed trade (a trade currently listed as a Red Seal Trade) in the first two years of his or her apprenticeship contract. The great thing about the Apprentice Tax Credit is that any unused portion of this tax credit can be carried back three years or carried forward 20 years, so you can choose when to use it for your best tax advantage. A corporation or individual business owner can earn Investment Tax Credits by doing designated activities on or with their qualified property in Newfoundland and Labrador, Nova Scotia, Prince Edward Island, New Brunswick, the Gaspé Peninsula and prescribed offshore regions. Qualified property includes the “new prescribed” buildings, machinery or equipment a corporation acquires during the year to use in designated activities. Particular rules apply to corporations that lease qualified properties. Generally, such property has to be directly related to the corporation’s principal business and leased “in the ordinary course of carrying on business in Canada”. 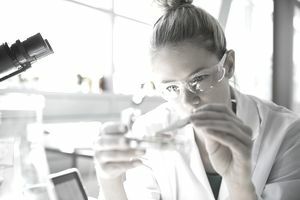 The federal and provincial governments have various tax credit/refund programs in place for Canadian- controlled private corporations engaged in qualifying research and development. The Scientific Research and Experimental Development (SR&ED) Tax Credit Program is a great example. Canadian employers who are not in the child care services business can claim Child Care Tax Credits for creating new child care spaces. These new child care spaces must be in new or existing licensed child care facilities and can be for the children of employees or for other children. The Child Care Tax Credit is equal to the lesser of $10,000 or 25% of the eligible expenditure per child care space created. These eligible expenditures may include the cost of depreciable property and/or specified start-up costs; they may not include ongoing expenses of the child care facility such as supplies, wages or utility costs. Specified start-up costs that are eligible for this Investment Tax Credit include expenses such as building permits, architect’s fees, and regulatory inspections. As defined in subsection 127 (9) of the Income Tax Act and Regulations of Canada. Individual provinces and territories also offer various tax credits. These are listed and explained in the Provincial and Territorial Tax section of T2 Corporation - Income Tax Guide (Chapter 8). Want To Pay Less Tax on Your Business Income? Try Income Splitting. How Long Will You Wait for a Canadian Tax Refund? Is Your Canadian Home Business Eligible for These Tax Deductions?